Yes, I am interested in taking on new graduate students for academic year 2019! That said, the admissions decisions are not up to me. Rather, it is in the hands of the Graduate Admissions Committee (the “GAC”). 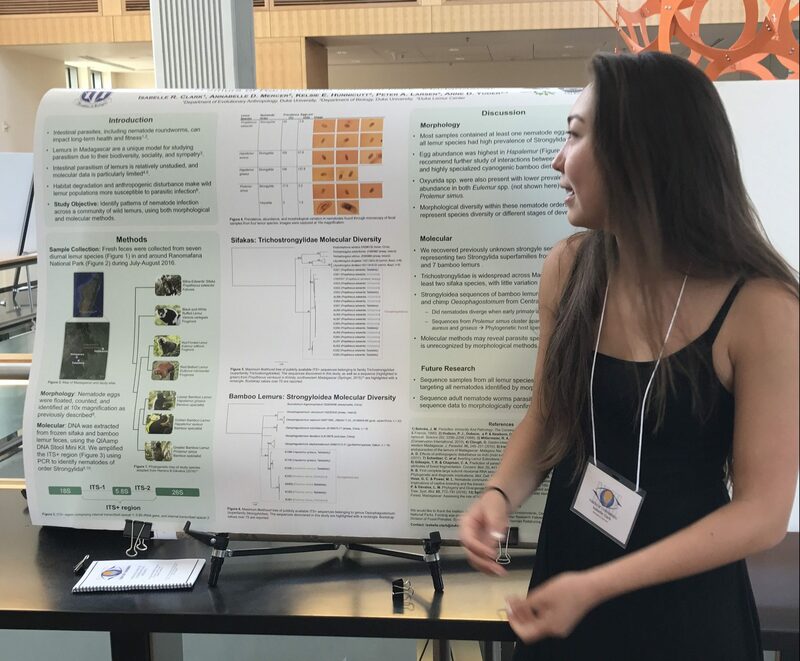 The GAC is looking for the strongest students academically who also show a clear idea of why they want to pursue a Ph.D. in Biology, why they want to come to Duke to do so, and also, that they have made a well-reasoned choice in a particular lab — in your case, mine. Thus, a strong application will reflect a high GPA, good GRE scores (at least the 85th percentile), glowing letters of recommendation, and a clear and persuasive statement of interest. Regarding the latter, your statement should (at least loosely) cover these topics: Why are you interested in science/biology/academia? What path led you to these interests? What have been your inspirations and experiences that confirm these interests? Why have you chosen to apply to Duke? Why are you specifically interested in my lab (and/or other Duke labs)? And how do all of these things relate to your long-term goals? If you can meet the criteria above, you will have a strong application, and hopefully, will be invited for interview. If invited, you will then have the opportunity to meet with a number of Duke faculty (including me, if I am in the country; if not, we can Skype), graduate students, and other members of the department. You will get a great sense of what life is like as a Duke Biology graduate student. (Note: I think that it’s AWESOME, having been a Duke graduate student myself.) But when you visit, keep in mind that this is an interview … admission is NOT guaranteed. So, be sure to be engaged and inquisitive in each and every meeting you have. They all count! Undergraduate students interested in gaining research experience through work study or volunteering should contact Dr. Rachel Williams. Undergraduates are usually assigned projects after consultation with lab personnel in order to explore scientific interests and goals. Once in the lab, students will work with a lab mentor, usually a postdoctoral associate or a graduate student. We place a high priority on assuring that undergraduate projects translate quickly into published work. Much of our research activities have a significant focus on collaboration with Malagasy students and colleagues. Research opportunities for American graduate students are enhanced by the formation of Malagasy/American partnerships wherein Malagasy students will serve as mentor/guides while in Madagascar, with the converse being true in the U.S. By working together in a mutual exploration of the natural and biogeographic history of specific groups of Malagasy vertebrates, the student pairs can efficiently progress from field, to lab, to analysis, to completion and write up of their respective theses. Further opportunities exist for connecting with Malagasy colleagues and field opportunities in Madagascar via the Duke Lemur Center SAVA Conservation Initiative, described here. We have recently designed a molecular lab using a portable sequencer that enables the collection of molecular data in the field. This technology is also great for making research in molecular evolution accessible to institutions that lack large sequencing cores. 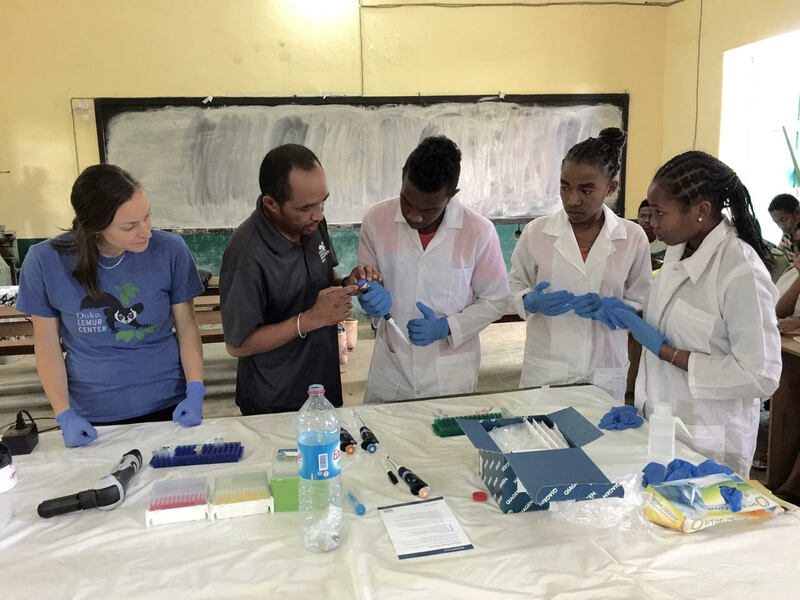 Working together with the Duke Lemur Center, 66 Malagasy students at the Centre Universitaire Régional de la SAVA received training in the mobile lab. The Yoder lab strives to make molecular techniques in evolutionary biology and conservation available for everybody! More about the workshop can be found here.